What Type of Call To Action Label Should I Use On My Start Page? Not sure what call to action to use? Check out our mostly commonly used ones below! 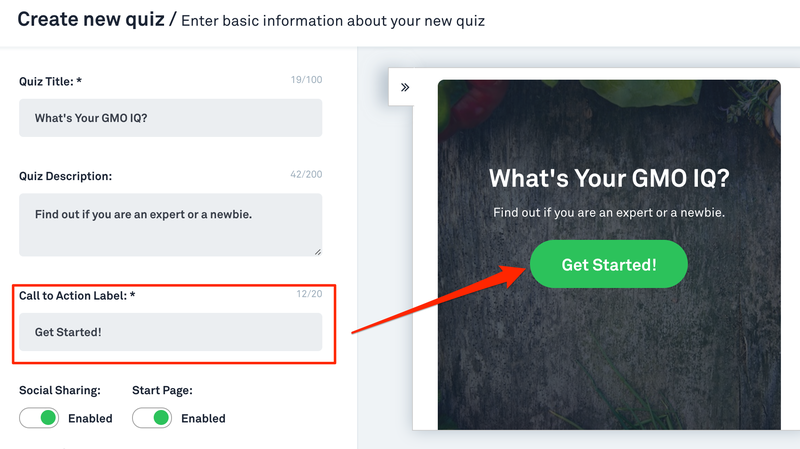 With LeadQuizzes you are able to add your own custom call to action, so use one of the common ones above or create your own!